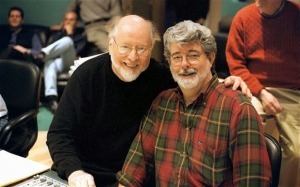 It was an incredible opportunity: celebrating John Williams’ 70th birthday with a big Sunday piece that would enable me to interview almost everyone important in his life: Steven Spielberg, George Lucas (on the phone from Abbey Road, where he was recording Attack of the Clones), Seiji Ozawa, Andre Previn and others. In addition to the praise from friends, I tried to install something of a historical perspective — where he came from, where he was going — while giving a sense that he was in no way slowing down. I’m very proud of this piece. 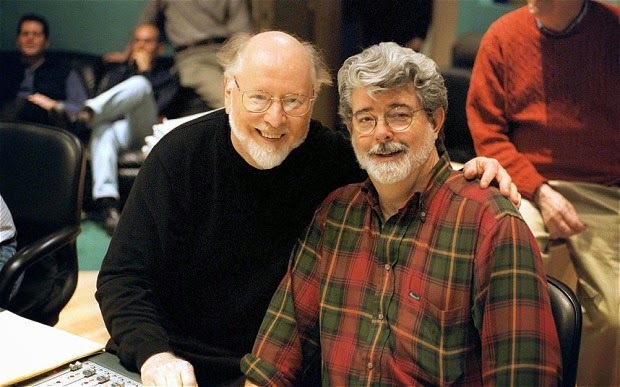 This entry was posted in Composers, Film Music, From the Files, Interviews and tagged Andre Previn, Call of the Champions, George Lucas, John Williams, Los Angeles Times, Richard Dyer, Seiji Ozawa, Steven Spielberg on February 3, 2002 by Jon Burlingame.